Our fee includes assistance with the food presentation on the buffet and a friendly staff to provide your guests with a pleasant experience. The fee also includes the use of all the furniture, dishes, flatware, appliances, serving dishes, etc. 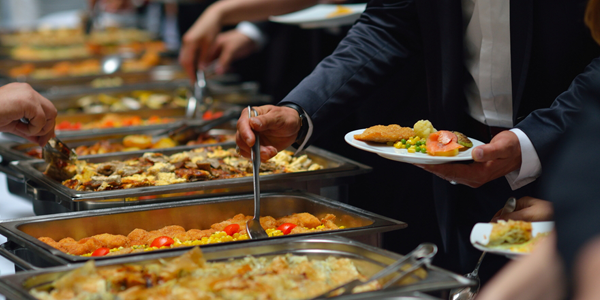 While it does not include the cost of the food and beverages, it does include all the services a caterer would provide during dining. A wait staff to bus tables and perform most of the clean up, set up for the ceremony and the table set up for the reception.